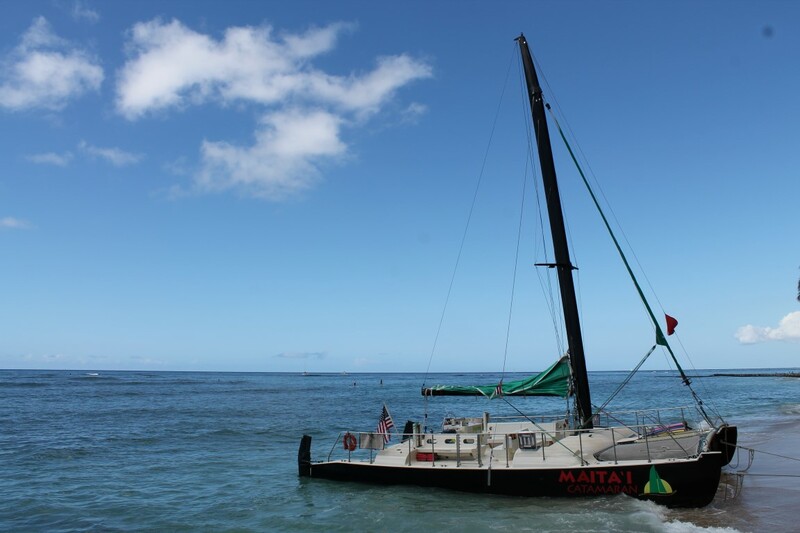 Hawaii is known for its Maita’i’s, yet my experience with Maita’i was not from a drink, but from an experience with Maita’i Catamaran. 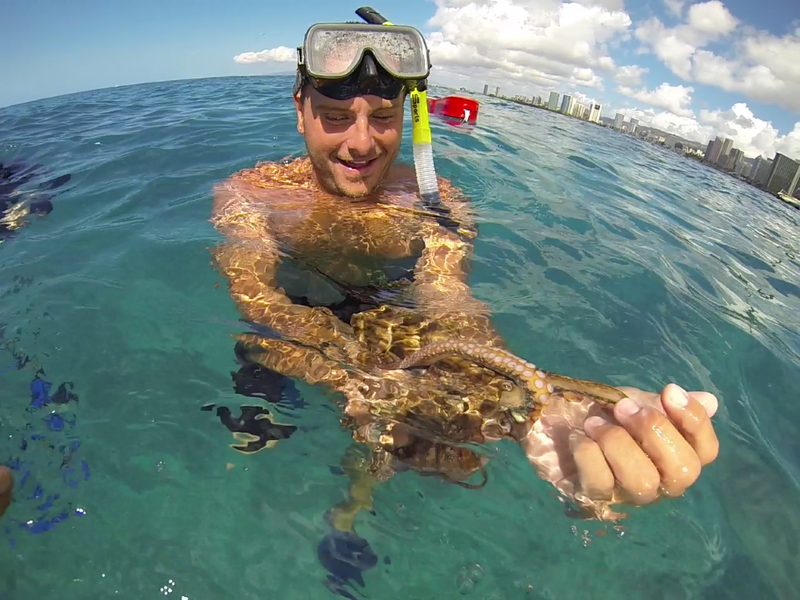 I was excited to go sailing and snorkeling in Hawaii with Maita’i Catamaran on their Underwater Adventure Sail. 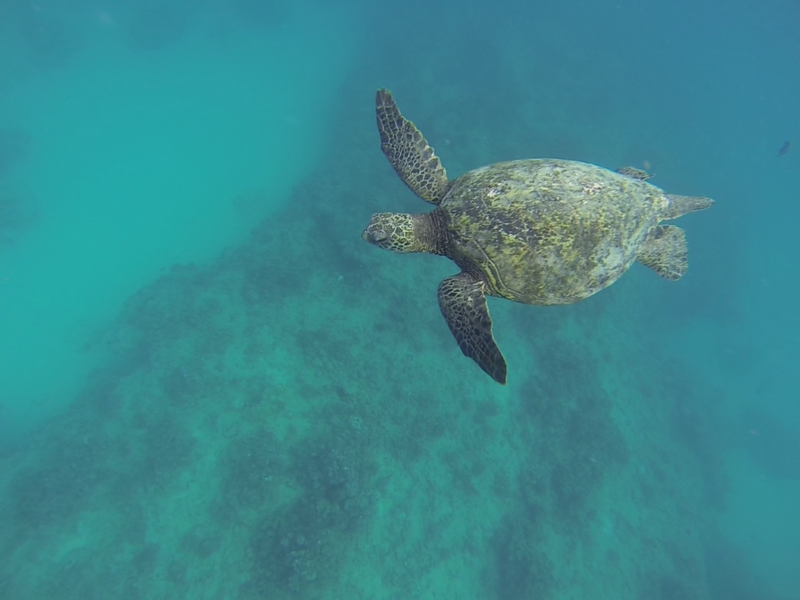 Hawaii is known for its snorkeling and ocean adventures and I didn’t want to miss my chance to fully experience Hawaii by being on and in the water. Maita’i Catamaran’s state of the art twin hulled sea vessel got my hair blowing in the wind and had me relaxing under the late morning sun. 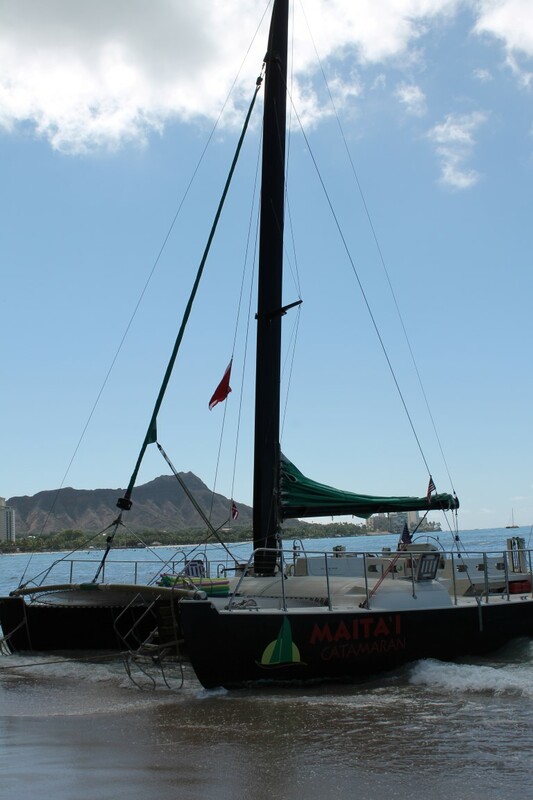 Maita’i means excellence in Tahitian and Maita’i Catamaran exemplifies just that. Can you see the turtle popping his head out? 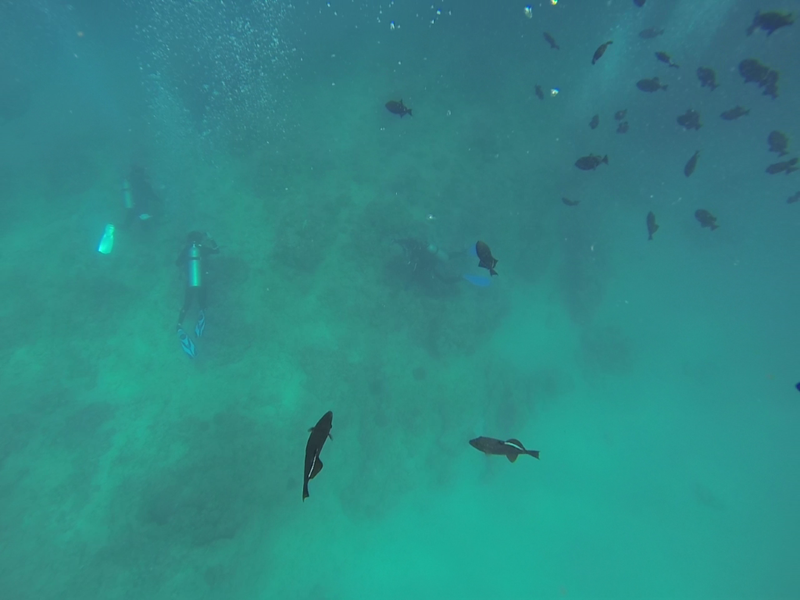 After a short sail from Waikiki aboard their 44 foot catamaran we arrived at Turtle Canyon, a famous diving spot off the Southern shore of Oahu. 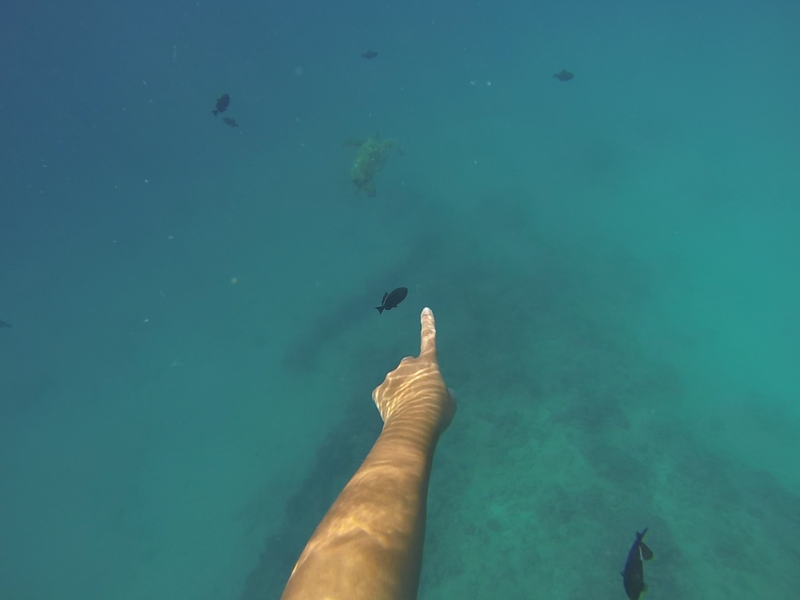 For what seemed like hours, I had the opportunity to snorkel at one of best snorkeling destinations on the island. 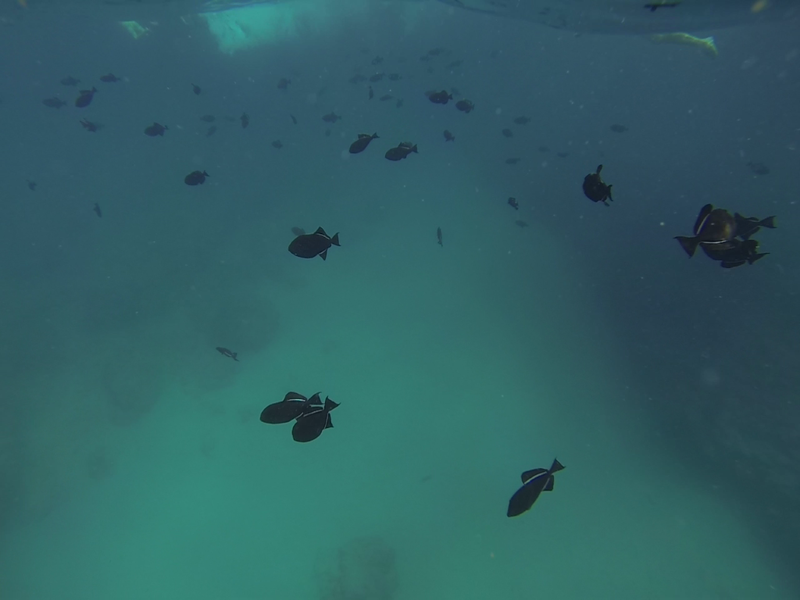 I saw thousands of brightly coloured tropical fish and over a dozen green sea turtles (there were so many I couldn’t keep track of how many I saw). 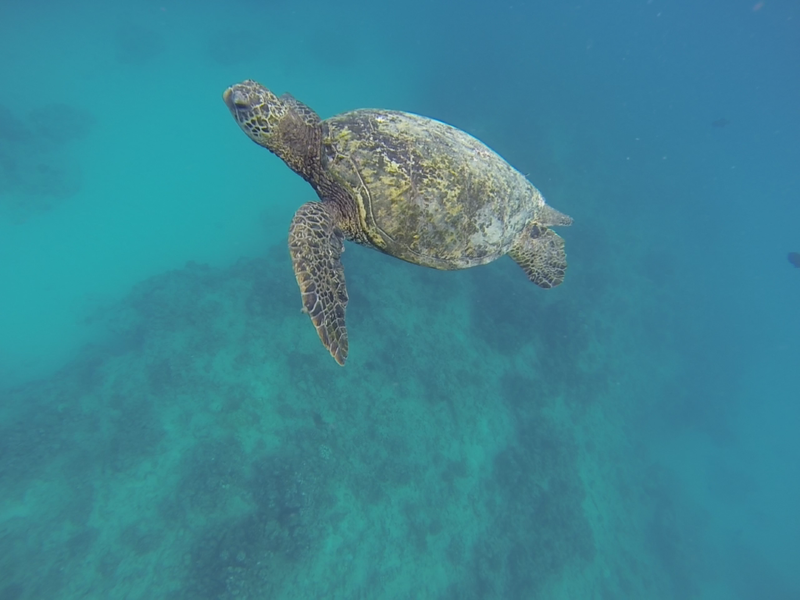 It was incredible watching the turtles surface for a breath, pop their heads out of the water, and descend back to the depths of the turquoise sea. 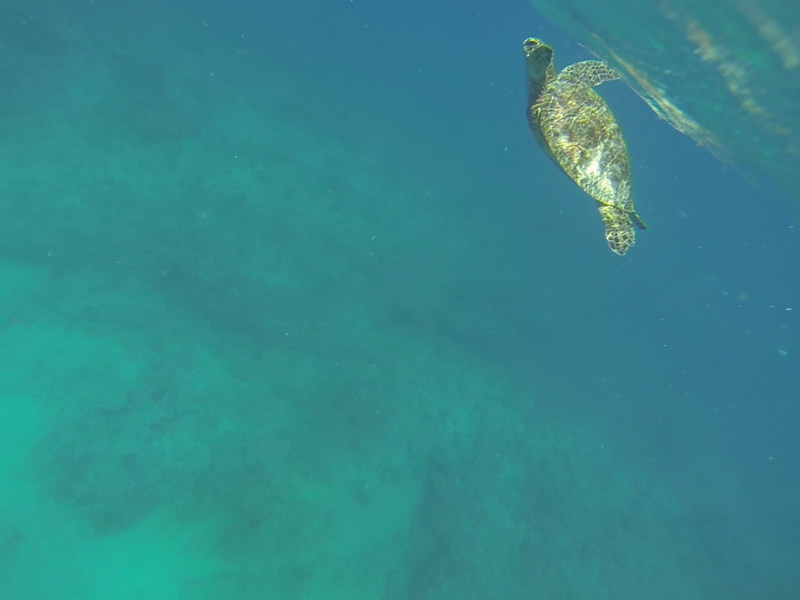 With no worries in the world, the sea turtles swam by me as if I wasn’t there intently watching them from a few feet away. 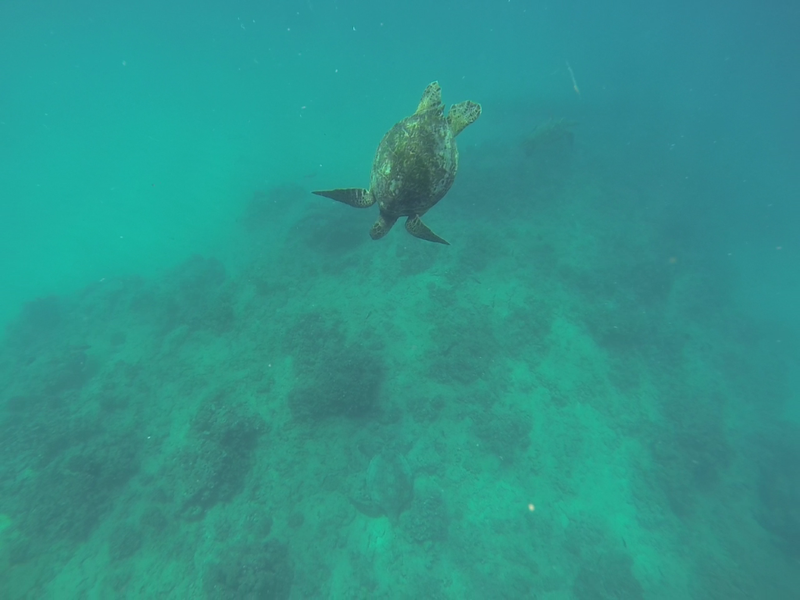 I’ve not previously had the opportunity to observe sea turtles in their natural habitat before Hawaii. 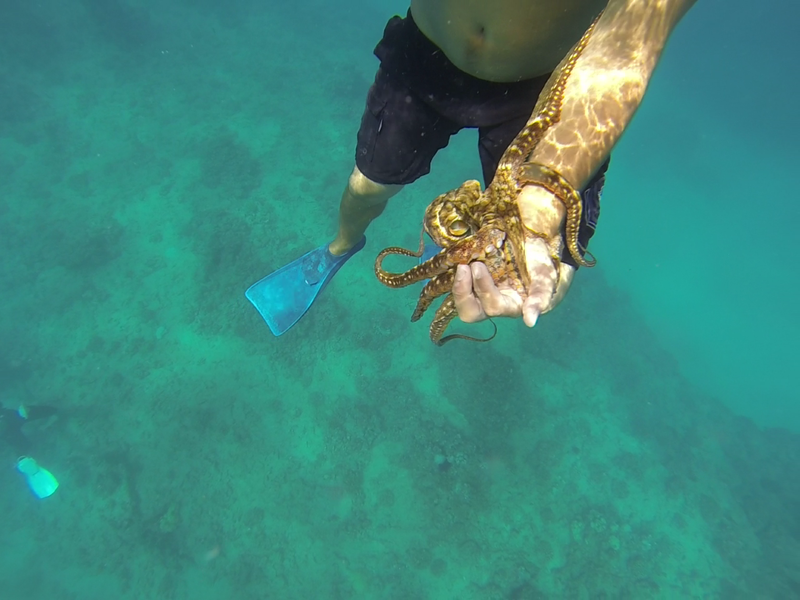 I feel blessed to have been able to have so many authentic experiences in Hawaii. Hawaii really is a dream destination where I could accomplish so many of my bucket list items. After the snorkeling portion of the tour was over we set sail aboard the cat while listening to traditional Hawaiian island songs. 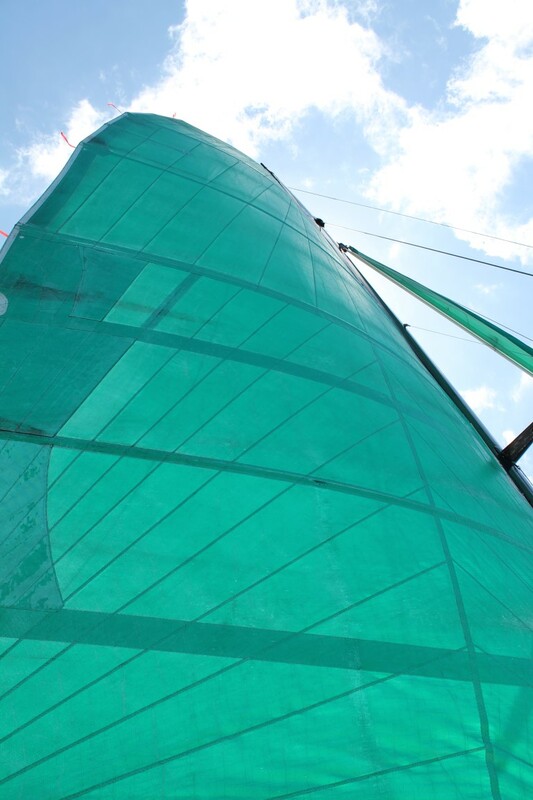 The catamaran quickly sliced across the water with its turquoise sails up cutting through the trade winds for full speed ahead. At that moment, I couldn’t think of a better place to be than to be right where I was. I love being on the water so I felt right at home. With the warm sun on my shoulders and the cool wind on my face I was in heaven. 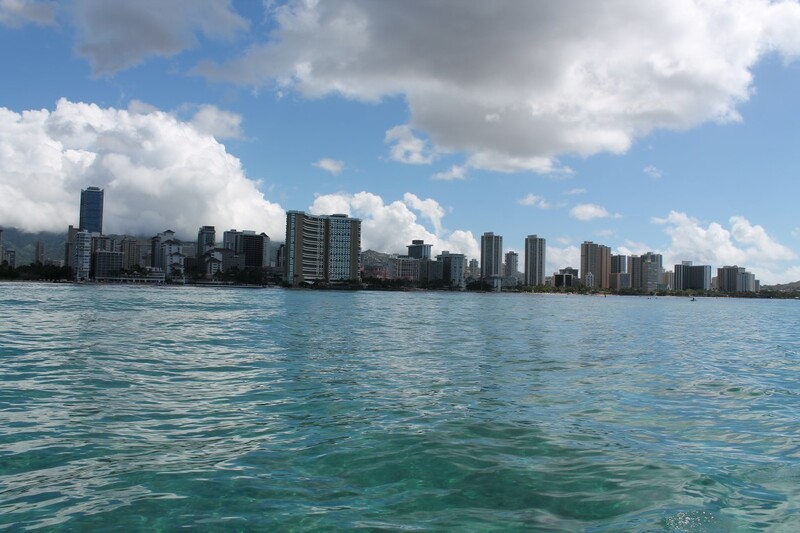 During the sail, I was able to get an incredible view from the water of Waikiki, Honolulu, Diamond Head, and the glistening turquoise water around me. With a cold refreshing Hawaiian guava juice in my hand you could say that I felt right at home. The Maita’i crew were amazing! Their friendly and humorous disposition made the sail enjoyable and relaxing. At mid day the crew passed out refreshments (my favorites were the varieties of Hawaiian fruit juices…mmmm orange passion fruit) and a picnic lunch. On our way back to Waikiki we passed by an Atlantis Submarine surfacing from the sea floor. 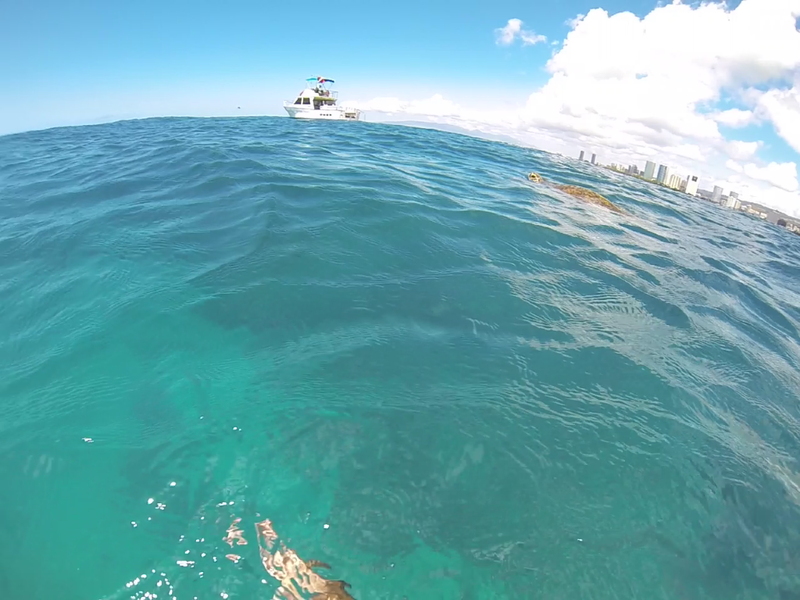 As quickly as we left the beach and were out to sea, we soon arrived back in Waikiki. I could have stayed on the water all day! 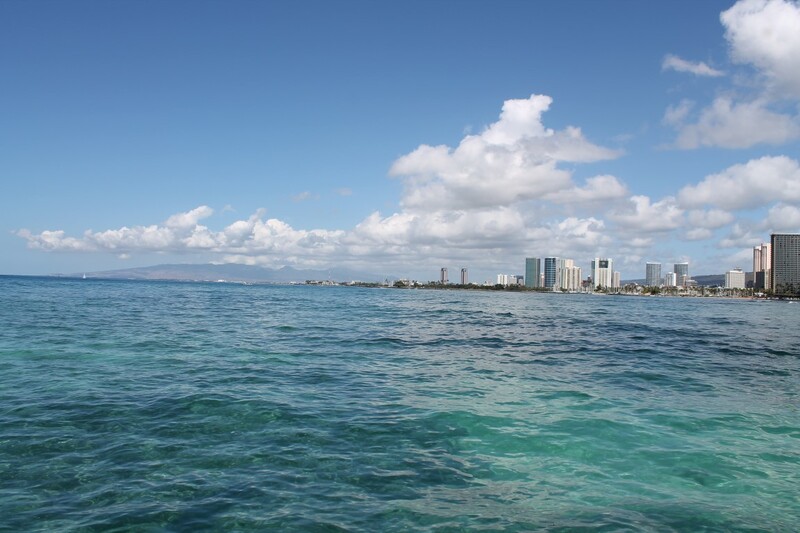 Maita’i Catamaran was the perfect Hawaiian excursion; it provided me the best of what Hawaii has to offer. 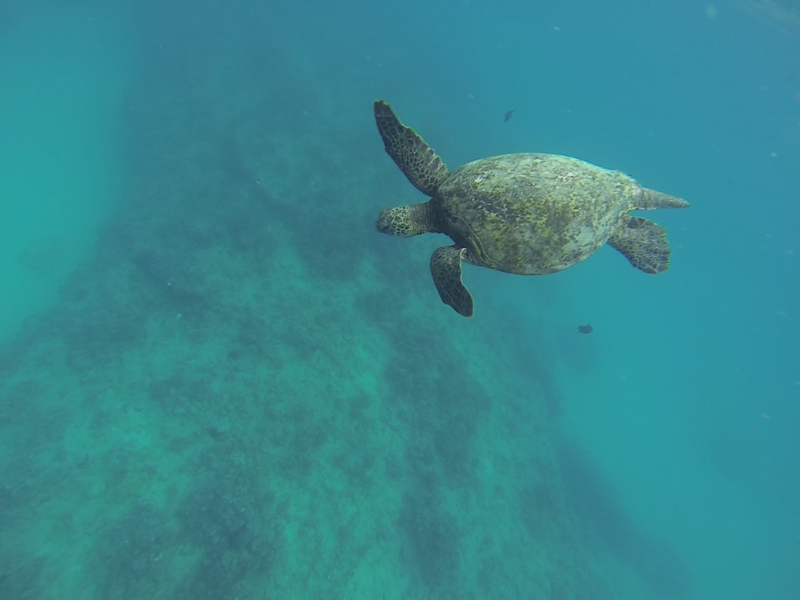 This entry was posted in Bucket List, Hawaii, Reviews, Turquoise Travel, USA and tagged adventure, bucketlist, experiences, Hawaii, Maita'i Catamaran, Oahu, Travel, Try, Turquoise Compass, Waikiki by Turquoise Compass. Bookmark the permalink.